With offices in Saskatoon, Canada, 7Shifts provides employee scheduling software for more than restaurants to help them streamline operations online. It’s an industry leading software-as-a-service (SaaS) platform helping restaurant managers schedule, evaluate, and communicate with their workforce. It’s currently used by more than 4,000 restaurants worldwide. Leading a startup to dominate an industry is a feat few get to experience. Thanks to a forward-thinking approach, critical SEO metrics were improved, helping them dominate their space. 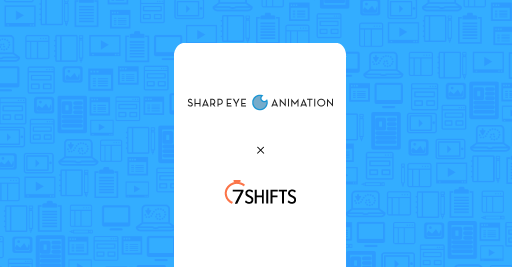 By partnering with Sharp Eye Animation, 7shifts has established itself as a solid authority on search engines that will help them remain a stalwart in the restaurant scheduling SaaS industry for years to come.